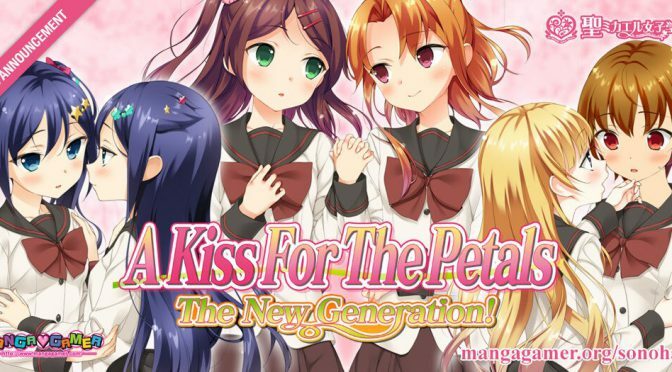 MangaGamer will be releasing an English localization of A Kiss For The Petals – The New Generation! (その花びらにくちづけを　にゅーじぇね！ Sono Hanabira ni Kuchizuke wo – Nyuu Jene! ), announced today at Otakon 2016. It is the second release by St. Michael Girls’ School and their first full-scale visual novel, an adult-oriented, fully uncensored visual novel for Windows 7, 8, and 10, Mac OS X, and Linux. Update 5 November 2016: Pre-orders and a demo version are available now at the official website. See this post for more information. As with Remembering How We Met, I will serve as supervisor of the English localization, as well as co-programmer and editor. I also designed the English logo. St. Michael Girls’ School opened a poll on Twitter to gauge interest between two mobile apps on 8 July 2016. 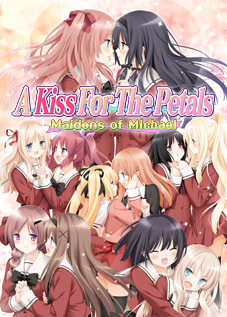 The apps proposed are “Innocent Flower Fortune Telling,” named after the theme of A Kiss For The Petals – Maidens of Michael, and “Yuri Camera.” The poll is open until 15 July. The below tweets were translated by Ralen. Update 16 July 2016: The Yuri Camera app has been selected by the survey with 61% of the vote. Development is now underway. 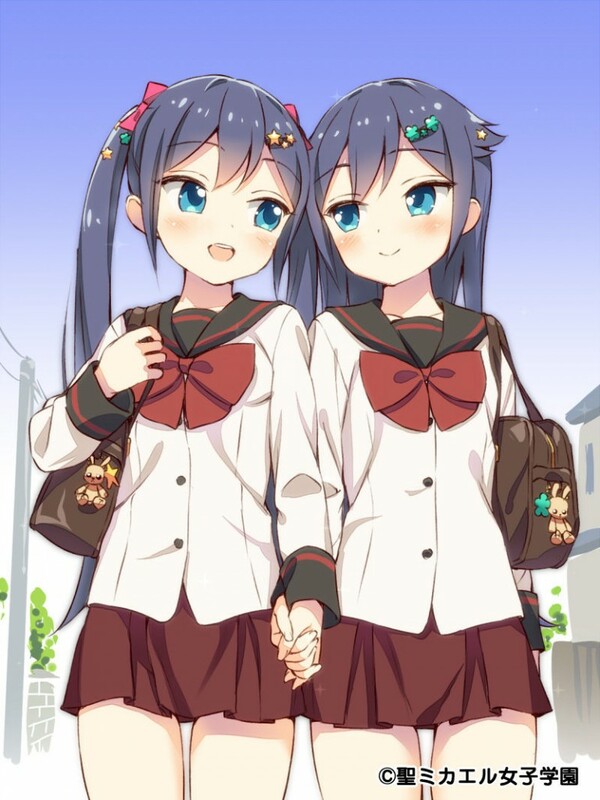 New App: Despite valiant effort by Innocent Flower Fortune Telling, we’ve decided on the Yuri Camera! We’re working hard ’round the clock on an app to bring you yuri goodness〜 #SonoHana http://mikajyo.pink　*The image isn’t totally accurate. This tweet was followed by a notice of a typo correction. The corrected text was used for the translation. 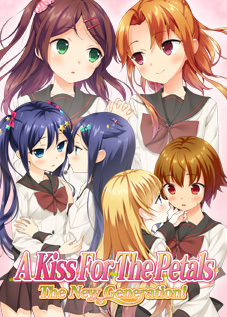 St. Michael Girls’ School has published an online short story leading to the events of A Kiss For The Petals Revolution! 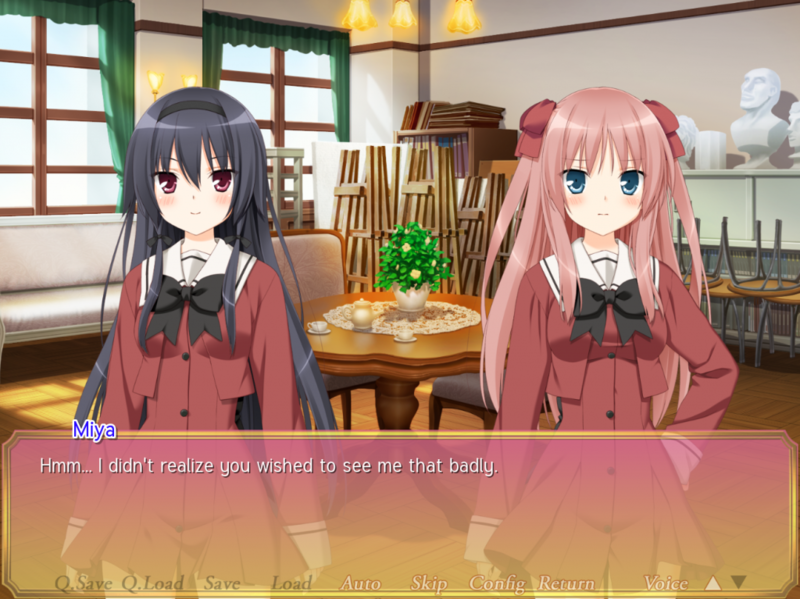 As in the visual novel Rinagisa, the prologue concerns Rikka and Sayuki volunteering to serve as guidance counselors to the students of the St. Michael’s annex school. The translation by Ralen is hosted on this server as a mirror of the original product page for Revolution. The index page for Revolution contains a copy of the cover image for Rinagisa that may not be safe for work. 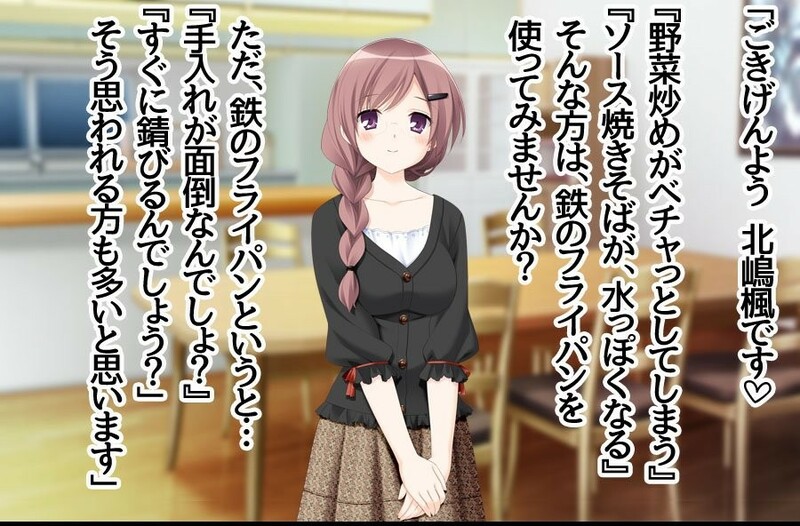 Throughout June 2015 in the weeks leading to the release of A Kiss For The Petals – The New Generation!, series producer Mi Kara Deta Saba wrote a three-article series for Getchu titled “The Day-to-Day of Yuri” (百合あるある Yuri Aru Aru), a discussion of the fundamentals of the A Kiss For The Petals series that distinguishes it from other works in the genre, as well as the technical and thematic implications that arise as a result. 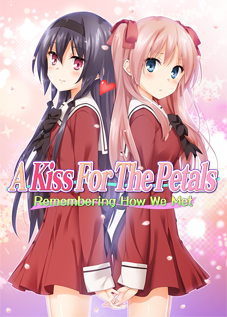 Ralen has translated these articles for MangaGamer to promote A Kiss For The Petals – Remembering How We Met, which was published throughout eight articles. I consider them essential reading for fans of yuri, as they discuss how even a small number of self-imposed restrictions on content and storytelling can have a profound impact on a project. The original articles contain a number of images related to The New Generation, both from the visual novel itself and exclusive to the Getchu articles. 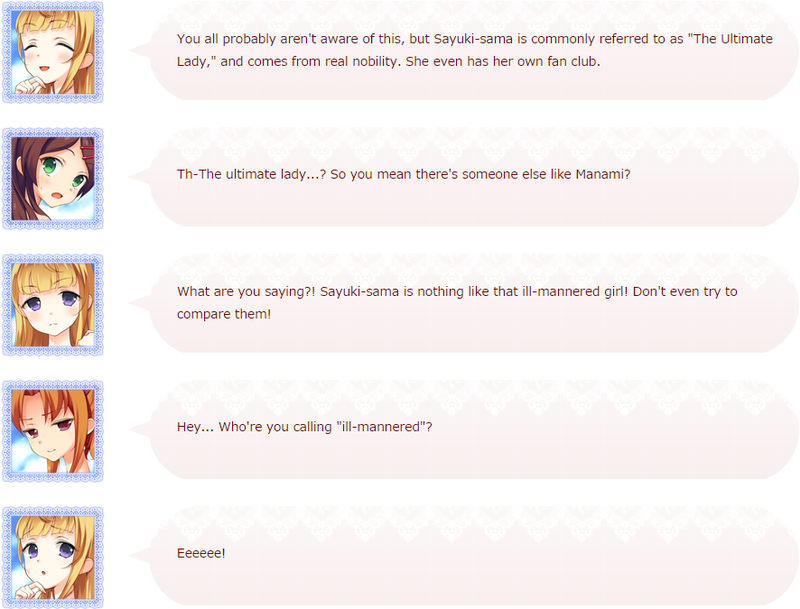 The former were not republished on MangaGamer, as the articles were repurposed for Remembering How We Met. Artwork is a Surprising Headache!